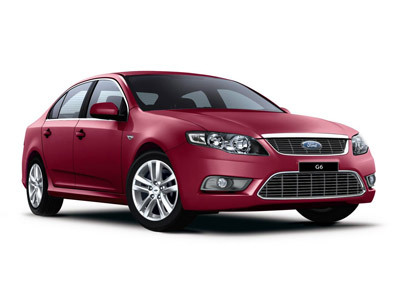 Ford Australia has reintroduced the G6 Limited Edition for the 2010 model year. The 2010 version is identical in specification to the 2009 model with the exception of prestige paint, which was previously an option, but is now available at no extra cost. Based on the standard G6, the G6 Limited Edition is equipped with a host of additional features, including unique exterior finishes and luxury interior appointments, along with another remarkable pricing offer for customers. 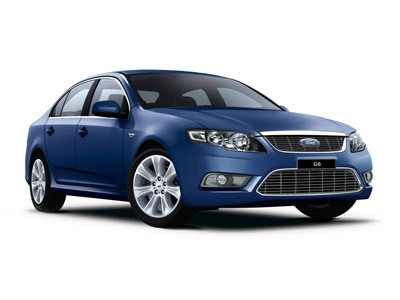 "The overwhelming success of last year's G6 Limited Edition has prompted its return for the 2010 model year," said Ford Australia Vice President Marketing, Sales & Service, Beth Donovan. "With almost $4,000 of additional equipment at no extra cost and a fantastic $36,990 driveaway price point, the 2010 G6 Limited Edition offers customers almost $13,000 of net retail value compared to the regular G6, so we expect demand will continue to be strong for this unique model." The exterior of the G6 Limited Edition is enhanced with 18-inch G Series alloy wheels, unique colour accent treatments on the upper and lower grilles, fog lamp bezels and rear bumper insert, and a 'Limited Edition' badge. The interior is boosted by new appointments, including side curtain airbags, leather-detailed seat trim, leather-wrapped sports steering wheel with satin alloy audio and cruise control buttons, iPod* integration and Bluetooth® ~ mobile phone integration. The G6 Limited Edition is also available with the optional E-Gas dedicated LPG engine and accompanying four-speed automatic transmission. When optioned with E-Gas, the vehicle will also be fitted with unique 17-inch sports alloy wheels to differentiate it from the petrol G6 Limited Edition model. On sale now, the petrol 2010 G6 Limited Edition is available for the recommended offer price of $36,990 driveaway. The dedicated LPG E-Gas powertrain is available as a $2,000 option, while a $2,000 government grant from the LPG Vehicle Scheme is available to eligible customers purchasing a new LPG vehicle. * iPod is a registered trademark of Apple Inc., and is used under licence.